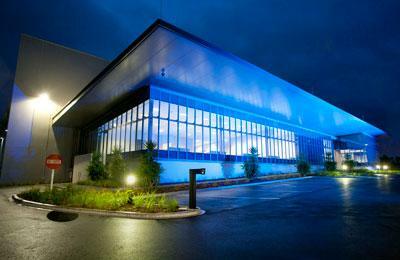 IBM has formally opened its NZ$80 million datacentre at Highbrook Business Park in Auckland. “The IBM datacentre will put New Zealand on the global map for IT services,” says Jennifer Moxon, IBM NZ managing director, at the official opening of the datacentre south of Auckland. Moxon says the new facility is the most technology advanced datacentre in the country today, and will deliver a range of cloud services including virtual server services and hosted private cloud and hybrid cloud infrastructure services. "We will also be able to offer remote storage options to countries throughout the Asia Pacific region,” says Moxon, who was joined by . “With its cutting edge security, this facility has the potential to be used by organisations and governments based offshore as a primary data centre or as a secondary disaster recovery site.” The new datacentre is a state of the art, environment friendly facility, and coupled with the increased demand for cloud based services, it will no doubt be a major factor in the take up of such services across the country, says Andrew Crabb, head of networks and services at TelstraClear. “While infrastructure has predominately been in the domain of the CIO, the benefits of cloud services are really in the flexibility it will provide to business through speed of delivery, cost, capacity and flexibility,” he says. IBM is likewise confident the datacentre will reach 150 percent capacity in the next 18 months, This bullish prediction was made by Greg Farmer, IBM GM for global technology services, at the official opening of the datacentre. The 5200 sq metre facility includes a 1500 sq metre column-free raised floor accommodating 720 server racks. There are plans to double capacity by building an identical facility so that the company is able to meet demand for datacentre services for the next 15 years. Farmer says they have signed up 13 clients, two are new and two are from offshore businesses. He is only able to publically name two clients - First Mortgage Services and Localist (the NZ Post subsidiary).